Healthy eating habits are all about common sense. Every person’s dietary needs differ as per age, gender, body type and the kind of work they are involved in. There isn’t one size fits all kind of dietary plan available in the market that will provide a miracle cure to all your health problems. The key to eating healthy is following some guidelines as per your requirements. For instance some people are vegetarians and would do without the meat – fish servings in their diet. Instead they should look at the nutrients that these food offer in supplementary vegetarian categories such as vegetables, beans or dairy product. Here we have made an attempt to provide ‘general guidelines‘ to eat healthy. Notice What You Eat – Nutrition experts across all spectrums agree that the first step towards eating healthy is making note of what you are eating. If possible, maintain a diary of what you eat to zero in on the pattern you have been following. This will help you understand where you are going wrong. Take Baby Steps – It is impossible to make sudden changes to ones diet as the possibility of falling ill are higher. Take a step at a time to ensure that you get it right. Consult your diary for prioritizing which area of food you should target first. 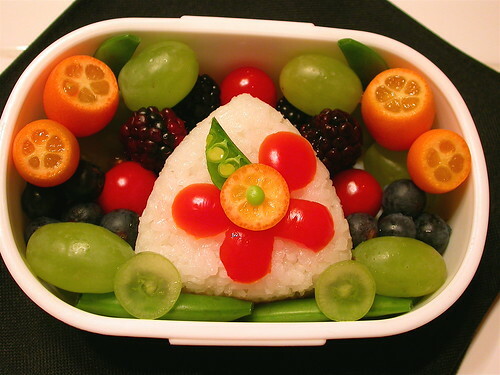 Include All Food; In Moderation – People who are healthy are the ones who enjoy their food in smaller portions. They do not punish themselves by putting some food they like off their plate. If you are fond of eating chocolates, include them in your dessert by all means. Remember to keep the portion size small and switch to dark chocolate as it contains fewer amounts of fat and sugar than the normal ones which are high in sugar and calories. There is a misconception among most people that fat is bad for the body. Not all fat is bad. Monounsaturated fats like omega 3 & omega 6 found in fatty fish, plants, seeds and nuts are a good source of energy required to maintain healthy tissues and cells. Food Equals Nutrition – Food provides nutrition to your body. In some cultures it is also considered important to nurture the mind and spirit. Look at food that nurtures your being rather than just a meal to fill up that empty feeling in the stomach or to feed your emotional issues. Eat when you FEEL hungry and not when you WANT to eat. Breakfast Regulates Metabolism – Do not miss the most important meal of the day – breakfast. It jump starts your day as it provides the necessary fuel to tackle the day. Eat Balanced Food – A balanced plate comprises of all nutrients derived from whole grains, vegetables, fruits, poultry, eggs, fish, nuts, beans, seeds, tofu and dairy products. Go slow on meat, butter, sugar and salts; though do not exclude them as they are also essential for the body in small portions. Replenish With Water – Since most of our body is made up of water which is essential to maintain and regulate the flow of nutrition, replenishing the body with adequate amounts should be of paramount importance. Try to drink as much as 10 glasses during winter and 12 during summer to stay away from dehydration. Avoid sugar laden juices or soda as they contain as much as 10 teaspoon of sugar in one single serving. Opt for natural juices if you do not like the taste of water per se. While eating healthy the focus should be on the quality of food you intake. Processed and ready to eat meals contain high amounts of sugar and salts for longer shelf lives. As much as possible cook meals at home; however if your schedule is busy pre-plan your meals to avoid last minute hassles. A healthy eating habit also takes into consideration moderate amounts of exercise as a great workout will not only improve your physical health but will also ensure that you are in a happy state of mind. The author has authored blog posts and articles that cover the entire spectrum of health – healthy eating habits, healthy food, lifestyle changes for healthy living, yoga apart from other health related issues such as HGH deficiency, acne treatments etc. This entry was posted in Diet, Health and Nutrition, Nutrition and tagged weight loss tips by Russell Jensen. Bookmark the permalink.